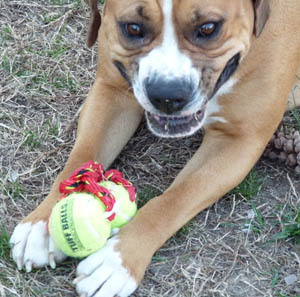 Layla the BlogDog Speaks: Rabies and Progressives | Virginia Right! 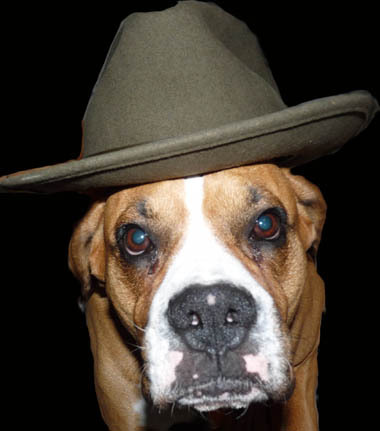 Editor’s Note: Please welcome Layla the Fedora wearing Blog Dog to the staff of Virginia Right! Her unique perspective and nose for truth is blended with her biting humor that will have you begging for more. Please put your paws together for Layla BlogDog. First, before putting paw to paper let me thank the Editor of Virginia Right! Tom White for giving me the opportunity to express my often overlooked point of view on the issues facing America today. I am also pleased that I am now able to address him as “Editor”. That “Master” thing is degrading and, to be honest, swells his head a bit. Today’s topic is Healthcare mandates. Being a Canine-American, people often overlook the onerous mandates that the government thrusts upon my often oppressed race. Mandates are nothing new when it comes to us. I received a degrading letter from Hanover County that was rudely stamped in bold letters RABIES EXPIRED! My rabies vaccination has not expired. In fact, it is good for another couple of months. But I was forced, against my will I would add, to make an appointment with my primary health care provider who plans to unceremoniously inject me with some concoction cooked up by some human in a dark laboratory that ostensible prevents rabies, a condition that causes unpredictable and bizarre behavior marked by unprovoked attacks on others, illogical and unfettered anger at everyone and frothing at the mouth. Now I admit this is horrific behavior that should be prevented at all costs. And I do not think that the government is necessarily wrong to force mandatory inoculations as a prophylactic preventative for the dreaded behavior. It is the double standard that has me seeing cats! the behavior is excused! They are not even accused of having a disease. No! They are simply called Progressives and given work at MSNBC or the White House! I would urge Congress to forget about Obamacare. Forget about funding Aids research. The most immanent danger to America today is Progressiveness! You refuse to tolerate this behavior in animals, yet pretend that it is perfectly fine in Humans. This is a despicable double standard and is nothing short of anti-Canine. It must be stopped! Call or write your Congressman today! Urge rabies shots for Liberals. I believe that Liberalism is Early Onset Progressivism. Take these liberals to your nearest Veterinary Clinic today. I also think it would be a good idea for Democrats to wear collars with tags to prove they have been innoculated against Progressivism. It is usually fatal and we simply can’t take chances with America. PS – This is me grinning. I DO NOT HAVE RABIES! P.P.S. – I hope Peter “Da Tech Guy” will induct me into the Axis of Fedora. While I may not be Human, I AM a blogger (as of now) and I am proud of my Fedora. And I know how to beg!